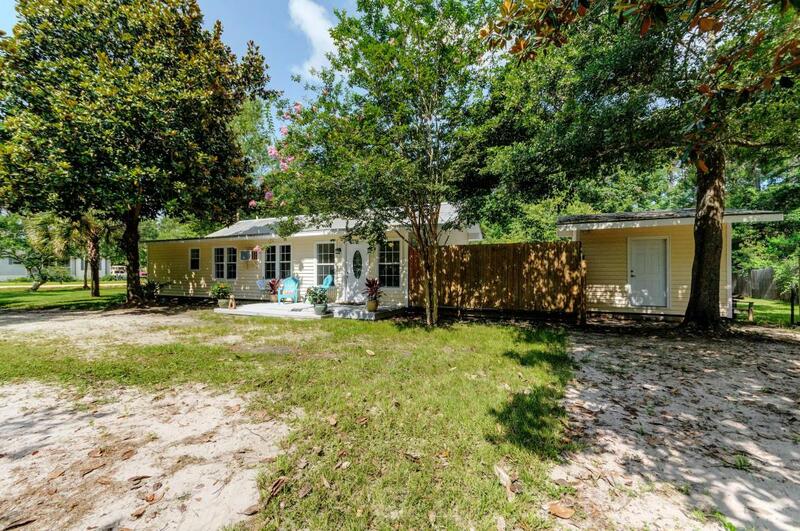 This charming 2 bedroom, 1.5 bath cottage sits on a 1/2 acre lot. Perfect for first time buyers, small family, retirement or investment. 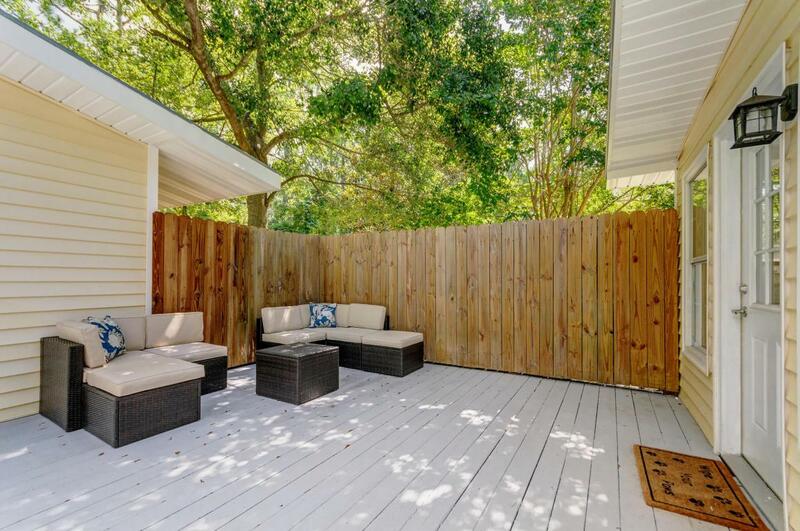 There is a large deck for entertaining in shaded back yard. 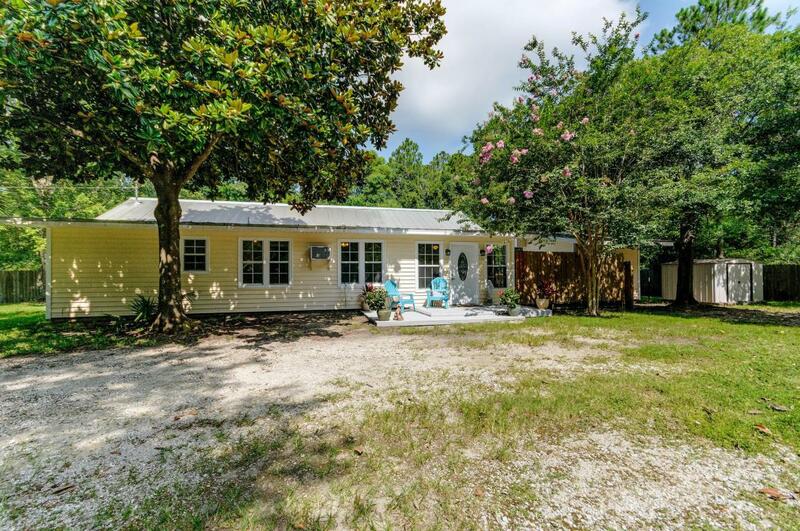 The home features tiled flooring, beautiful wood cabinets in the kitchen, shower/tub combo and double vanity in the bath and an open floor plan.1/2 acre of land and a house all in Santa Rosa Beach, minutes away from the beach! This is a cute beach bungalow with old world charm. The house has been completely remodeled, new floors, granite counter tops, brand new appliances, new hardware, new lighting, and fresh paint. The rooms are very spacious. 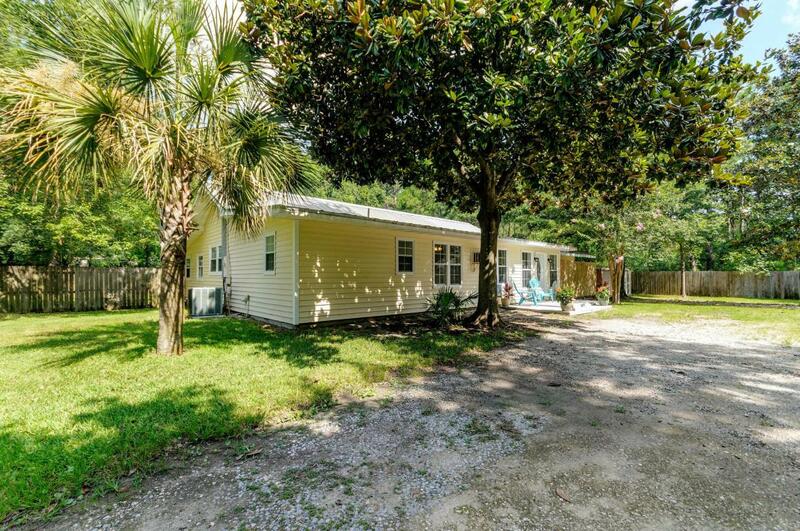 It has an enormous fenced in yard. And with so much land, it would be easy to add on a full garage, pool, and/or carriage house.